At a bustling restaurant in downtown Toronto, rumour has it Silicon Valley’s hottest innovation is here somewhere. Not the latest smartphone wedged to a diner’s ear two tables over, but a heaving burger, served up with pickles and special sauce, according the specials board. So, what does this burger do that makes Bill Gates and friends line up to throw bags of cash at it? Technically, it sizzles and “bleeds” much like any other rare burger – except no cows, or turkeys or chicken for that matter, were harmed in its making. With trend spotters declaring “plant-based” everything the hottest food craze of 2018, all while North Americans eat more protein than ever, the market for “alt meat” is undeniably blowing up – and a growing handful of San Francisco Bay area startups with a taste for food have been leading the charge. They’re not serving up the dry soy burgers and chick’n strips of yore. No, buzzy companies like Beyond Meat (now at a growing number of Canadian restaurants), Impossible Foods and Memphis Meats are spending millions on high tech labs staffed with food scientists, biochemists and physicists to replicate “the architecture of meat,” as Beyond Meat’s CEO Ethan Brown put it. They’re running burgers under MRIs, replicating flavour molecules, splicing genes and, in the case of cellular agriculture companies like Memphis Meat, they’re brewing actual “clean” meatballs, milk, even leather in bioreactors. Okay, so not all of that will sit well with the whole grain set, but it’s certainly caught the meat industry’s attention. The thing is, until recently, fake meat, well, it’s kind of sucked. While an April study by Mintel found that an impressive 53 per cent mostly omnivorous Canadians say that they eat plant-based meat alternatives like veggie burgers and hot dogs (with one in five Canadians eating mock meat a few times a week), only 16 per cent say those alternatives “taste as good as meat.” To win over skeptics, Mintel’s associate director of food and drink, Joel Gregoire, says the makers of meat alternatives will have to bridge the taste and texture gap between their products and actual meat. 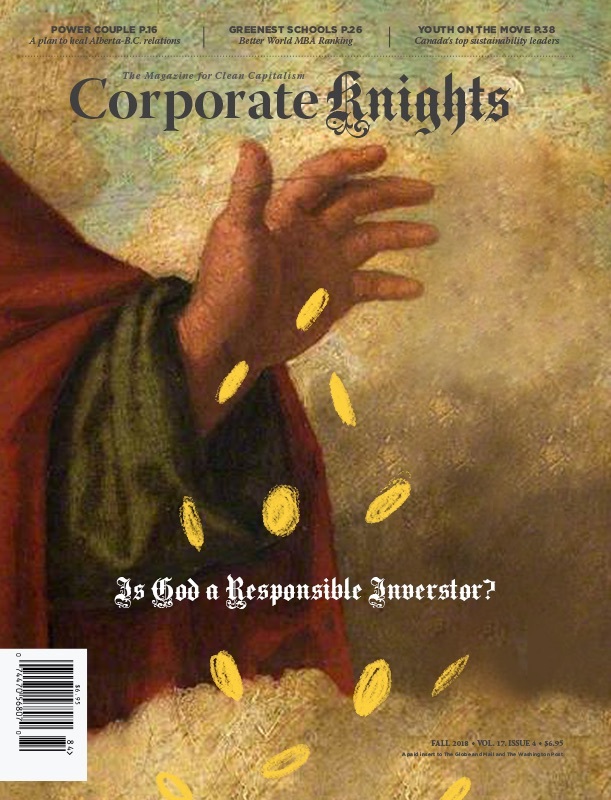 And analysts note there’s plenty more money to be made. The market for alternative meat could claim up to a third of the protein market by 2054, according to Lux Research, as more “flexitarians” and “reducetarians” moderate their meat intake. No wonder Walmart is asking its suppliers to make more meat-free fare and, Nestle, the world’s largest food and beverage company, snatched up Sweet Earth to start selling its Benevolent Bacon and Harmless Ham. Missouri lawmakers have already introduced a meat industry-friendly bill that “prohibits misrepresenting a product as meat that is not derived from harvested production livestock or poultry.” They’re particularly threatened by lab-grown meat, which could be on shelves by the end of 2018, if vegan mayo maker Just delivers on its promise to be selling a cultured avian product, or maybe lab-grown foie gras, by then. (That would place it years ahead of cellular ag competitors like Memphis Meats, Israeli startup SuperMeat and even Finless Foods’ much-anticipated fish fillets.) Just is also vowing to be one of the first clean meat firms to culture that meat without pints upon pints of controversial fetal bovine serum, the “miracle juice” behind most lab-grown meat. Whichever cultured meat hits Americans’ shelves first, since it would be classified as a “novel” food in Canada, it’ll need Health Canada’s approval before it’s permitted on menus here. 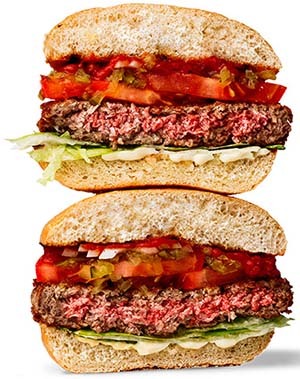 Ditto for Impossible Food’s “bleeding” wheat and potato protein burger, which gets its deceptively meaty taste and aroma from a genetically modified yeast protein, yet to be cleared by Canadian authorities.